Around 50 aspiring entrepreneurs gained new tactics and strategies towards success in Singapore Business Review’s recently held Eminent Speaker Series. Mark Phooi, Founder & Principal of First Media Design School, shared the 7 Laws of Success that can help entrepreneurs excel in Singapore amidst intense competition. Mark discussed the key driving forces and motivations behind a successful person and uncovered opportunities for entrepreneurs in Singapore's neighboring markets. He also revealed how cultural immersion is the overseas business success ingredient. 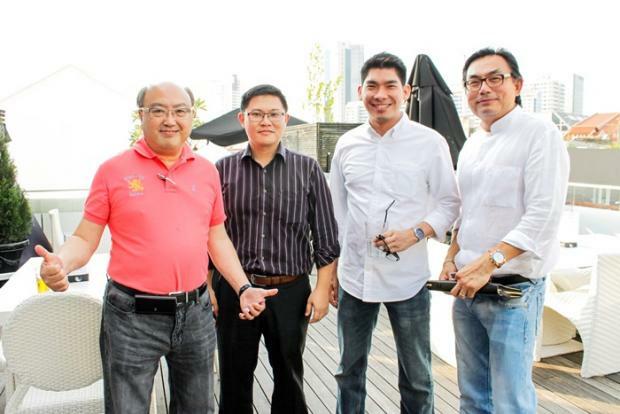 The Eminent Speaker Series was held last 7 August 2013 at The Club Hotel's Ying Yang Rooftop Bar.